Soy sauce and garlic make this side an exciting way to get your greens. Bring a large pot of water to a boil and season generously with salt. Add the green beans and blanch until crisp-tender, 2 to 3 minutes. Immediately transfer to an ice bath to stop the cooking, and then remove to a baking sheet lined with paper towels or a cooling rack to drain. In a large saute pan over medium-high heat, add the canola oil and butter. When the butter is melted, add the garlic and stir until fragrant, 1 to 2 minutes. 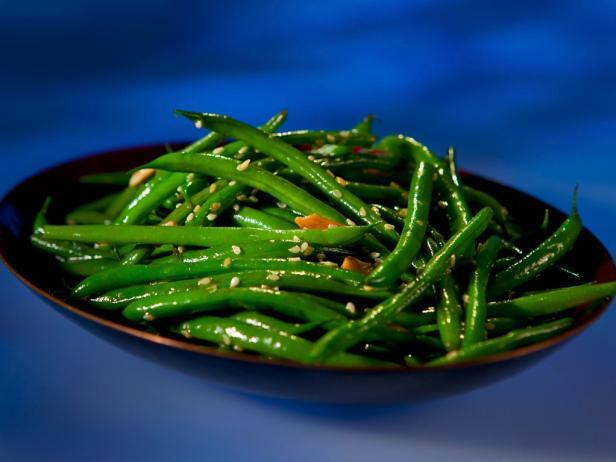 Add the green beans, soy sauce, sesame seeds, and black pepper and saute until the sauce reduces slightly and thoroughly coats the green beans, being careful not to overcook beans.